Our next Saturday Sampler will be held this Saturday, August 17th here in the Demonstration Garden. The program will start at 9 a.m. and we try to finish by about 10 a.m. We will be featuring EGGPLANT this month, and Denise has been busy trying out some dishes. There were a couple of them that were good enough I may consider making them myself, so that tells you that they are excellent! 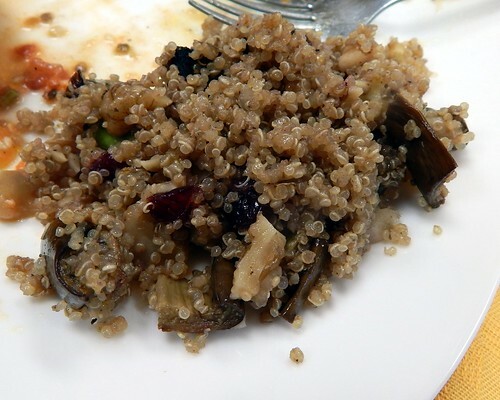 This Quinoa Eggplant Salad was delicious! You better come out on Saturday for the recipe! Posted on August 15, 2013, in Upcoming Events and tagged cooking, eggplant. Bookmark the permalink. Leave a comment.